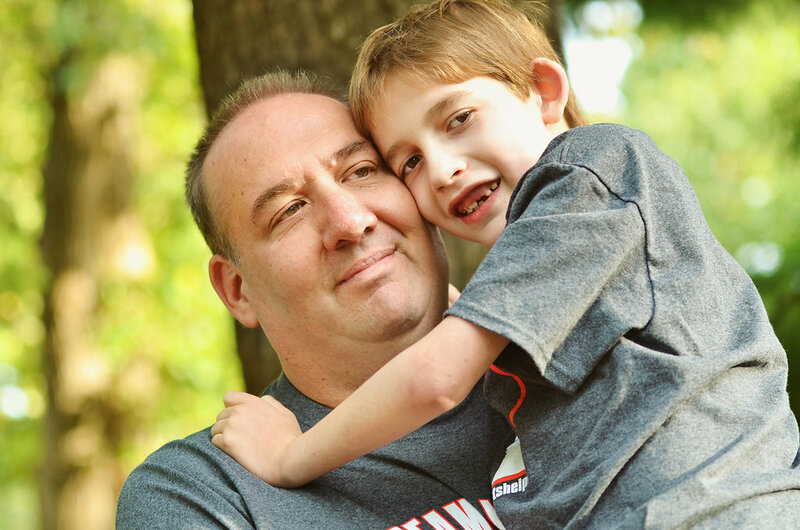 Ken and Rachelle Drabek know exactly what they are getting at the Ronald McDonald House of Rochester and Mayo Clinic, which is increasingly important in a world of unknowns. Their eight-year-old son Logan first visited Mayo when he was three. He was very tiny, had no appetite and was developmentally delayed. 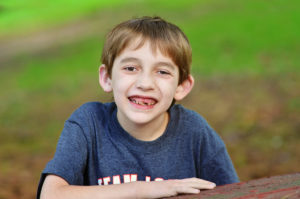 And he had already endured one surgery to open up his airway. 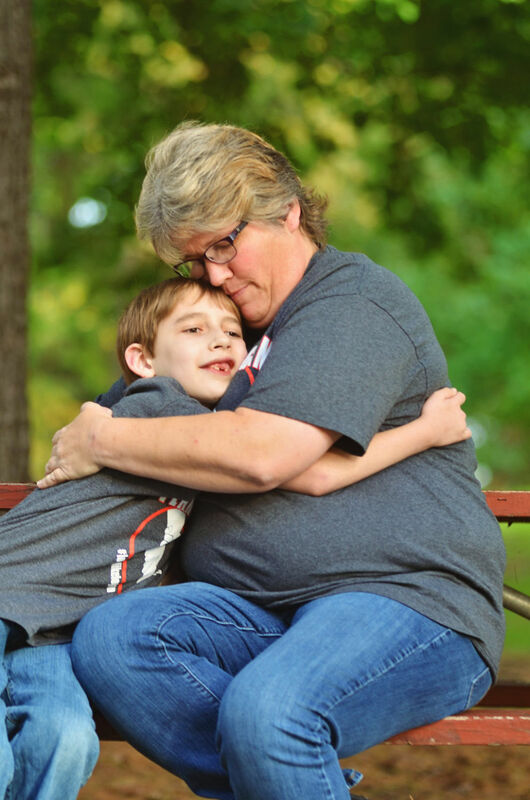 Logan was diagnosed with autism, attention-deficit/hyperactivity disorder (ADHD), dyslexia, and ventricular septal defect (VSD), among other things. 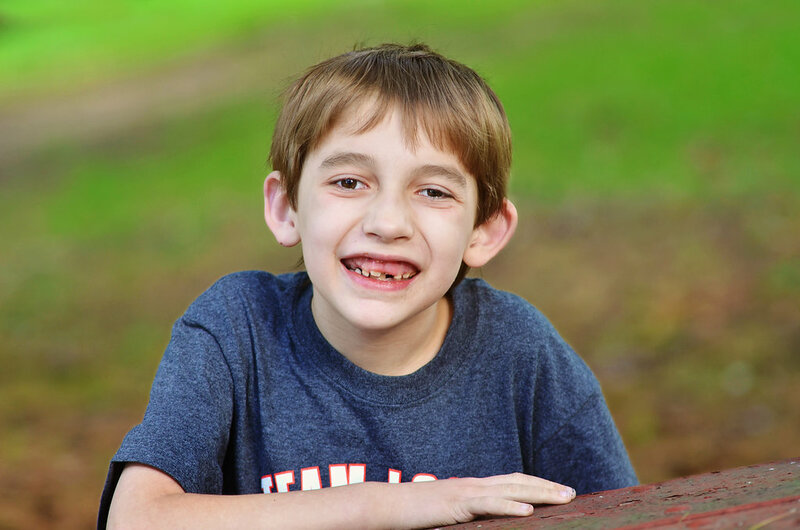 He has a form of muscle myopathy, but it doesn’t have a name. He has a metabolic issue, but it doesn’t have a name. 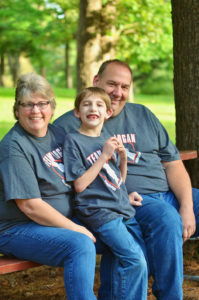 The myopathy has walked up Logan’s body and he endured second airway surgery. But despite all of the unknowns, Ken and Rachelle know how to best help him, and that is a comforting thought. Their first visit to Mayo was overwhelming. Rachelle and Logan stayed in a hotel because they didn’t know about the Ronald McDonald House. Being contained and entertained in a hotel room was not ideal, but venturing out was too difficult. Shortly thereafter Rachelle learned about the House. Many families who visit Mayo Clinic and stay at the Ronald McDonald House do so once or twice, depending on severity of condition and number of appointments. Logan and his family have been coming to Mayo for treatment for the past five years and have stayed at the House more than 10 times. It has truly become their home-away-from-home. “The community at the House is amazing,” Rachelle said. “The families we meet—we are all in different boats, but we are on a similar journey. We understand each other. That’s probably the most helpful thing about the House; other people who get it. “House volunteers and staff are wonderful. They make Logan feel so incredibly special. They are top-notch people with the most loving hearts. They have become part of our family. The Ronald McDonald House of Rochester is in the building process of a 30-room expansion, which will include a small indoor gym, indoor and outdoor play areas, underground parking and green space. It is on track to welcome families in the spring. Many families who return home from Mayo and the Ronald McDonald House do not return, at least not regularly. But that is not the case for Logan, who remains a medical mystery. Rachelle expected to visit Mayo in Rochester every few months, but due to Logan’s condition, the family has visited Mayo every month since May. She describes the family as lifelong Mayo patients and part of the Rochester community. The Drabek family lives one day at a time, thankful for the time they have together. 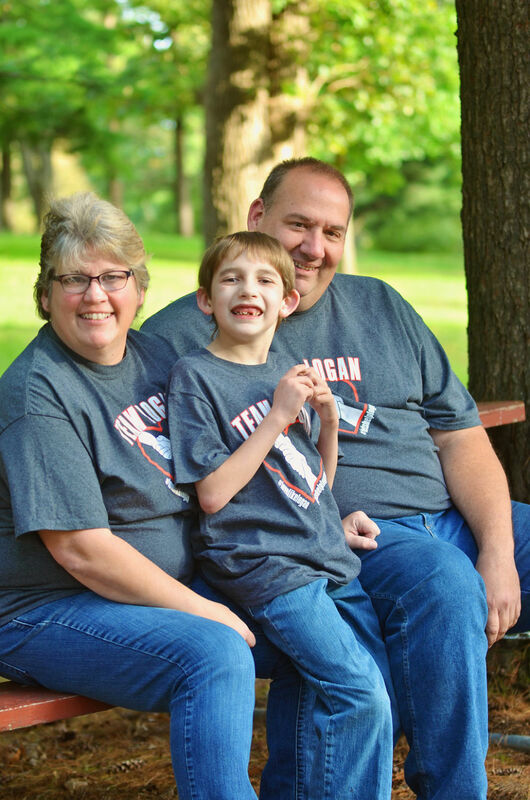 Logan’s family, including his older siblings Tim and Ashley, support him every step of the way. And they have the support of their growing family in Rochester at Mayo Clinic and the Ronald McDonald House.